The terms golf course architect and golf course designer are often used interchangeably in the golf industry. 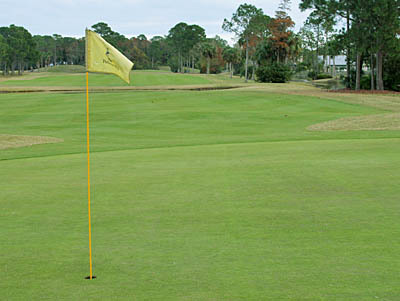 Golf design professionals provide a wide range of services for the construction of all different types of golf courses. These kinds of courses include championship/international competition, conventional-length, executive, par 3 and pitch & putt courses. Advising on the selection of the best land for building a golf course or analyzing if the land is right for the course. Part of this process is also determining if there is enough land for the type of golf course desired. Preparing preliminary routing design plans for the holes and the practice area. These eventually lead to the final or master plan of the proposed course. This can involve consultation and coordination with the design architects of the clubhouse and related facilities such as housing or a hotel. Generating detailed drawings showing how the tees, fairways, bunkers, green complexes and other features of the course should be constructed. Recommending proper methods of construction for the features of your golf course. This can either be accomplished in detailed written specifications for competitive bidding among golf course contractors or by negotiating the construction among one or more contractors. It also may involve other instructions if the construction will be done “in house” by the course’s developer. Even if a majority of the construction will be done with the developer’s equipment and personnel, there will likely be the contracting of certain tasks like the installation of the irrigations system, grassing and other technical aspects. Another service a golf course designer can provide is estimating the construction cost of a new course. There are many factors that may influence the cost. One big variable can be due to the nature of site - especially its soil. For instance; is rock on or near the surface of the site, how much clearing is needed, are there current drainage problems on the site that must be corrected, what are local cost levels, how much earth will be moved, what kind of irrigation system is appropriate, how large are the greens going to be, how will the greens be constructed, how many bunkers and a number of other essential factors? With all of these factors, it does take some time to learn about and determine the most cost effective direction for each project. Making periodic visits to observe and advise on the use of proper construction methods. Possibly answering questions coming up during construction and how to make the resulting golf course even better. Helping to ready the course for its opening of play as the construction is being completed. Individual golf course projects vary due to the many elements discussed above. So, it’s impractical for most golf course designers to immediately offer a “one size fits all” package of services for a standardized fee. This is because it first takes careful research about your individual project, its needs and goals. And only after studying a project can a qualified golf course designer quote a fee to cover the specific services that are needed for your golf course. Certain features of the course were not designed or constructed properly in the first place. The greens, bunkers, tees and other features of an older course can deteriorate over the years, so they now need to be reconstructed. This could be due to erosion, compaction of the soil, wear or a combination of these damage-causing factors. The need to improve drainage is a common cause for fairways or other portions of a golf course that justify being remodeled. Certain areas can stay soggy and this creates poor playing conditions and makes proper maintenance difficult. In some cases, parts of an existing golf course must be remodeled due to exterior causes. This could include the construction of a new road on part of a course or other types of development infringing on some holes. Many experienced and qualified golf course designers are members of a professional organization, such as in North America, the American Society of Golf Course Architects. Satisfying the membership requirements is an indication that a man or woman has proved their expertise in the golf design field. Being a member in good standing of a professional society like this has great value to each member because of continuing education programs. This keeps members up to date on the latest techniques and trends in designing new golf courses and remodeling existing ones. So, if a group or an individual is planning to build a new course or is associated with one needing to be remodeled, it’s very important to have someone trained and qualified in golf course architecture as an advisor. Having a professional on board helps you from the beginning stages of the project and throughout the entire process until completion. The training, knowledge and skill of a golf course designer should be fully utilized to maximize the investment that will be spent on your golf course project.